The Center on Business and Human Rights kicked off the year with a conference on workplace safety in Bangladesh on September 9-11. Dean Peter Henry welcomed senior government officials from Bangladesh, local manufacturers, senior officials from the Bangladesh Garment Manufacturers and Export Association, and representatives of Bangladesh civil society and workers’ organizations to discuss workplace safety and the future of the garment industry in Bangladesh. Participants were joined by major U.S. and European retailers, several Western governments, key intergovernmental organizations, and outside experts. The forum marked the Center’s inaugural event. “Our belief is that no one actor can solve the problem of workplace safety on its own and that identifying options for practical action will require understanding diverse perspectives on key issues,” said Posner. Based in part on comments and suggestions made at this meeting, NYU Stern’s Center for Business and Human Rights will produce a report on workplace safety in the context of building a sustainable garment sector in Bangladesh that continues to contribute to the country’s economic growth and protects the rights of workers who are at the heart of the industry. The report will be released in the coming months. The Center will convene a follow-up meeting in Dhaka early in 2014. 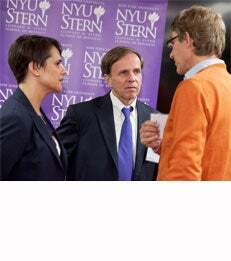 Learn more about NYU Stern’s Center for Business and Human Rights.